Chateau Interiors & Design is an all-inclusive interior design firm and showroom. 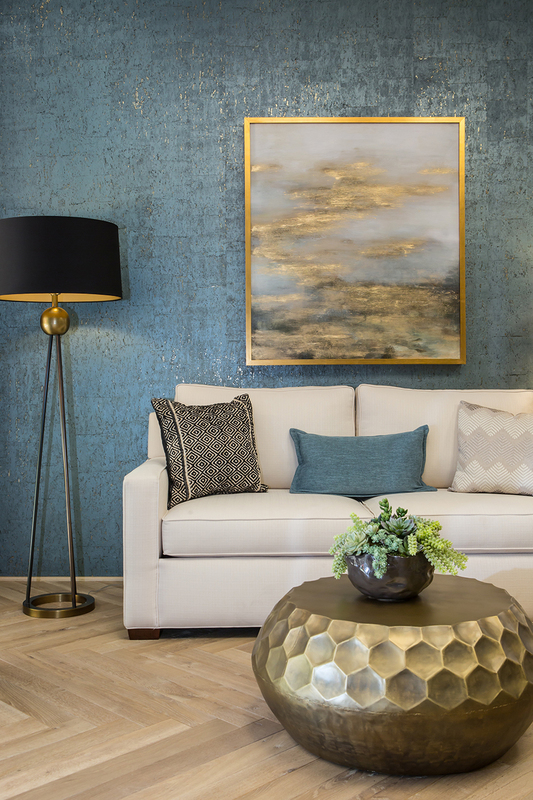 Established to service new Warmington homebuyers in the coordination, selection and installation of options and upgrades, Chateau Interiors & Design set the standard for excellence in its approach to new home buyer options and upgrades services. Since its inception, the company has evolved into an autonomously operating company with a variety of builder-clients. With an expansive 6,000-square-foot main showroom located in Irvine, California, two onsite showrooms in Northern California, a 2,100-square-foot regional showroom in Las Vegas, Nevada, and two new showrooms coming soon to Los Angeles. Serving approximately 600 new home buyers annually, Chateau Interiors & Design is regarded as a leader in the industry. Offering a complete menu of today’s best and most fashionable design possibilities, Chateau Interiors & Design currently serves as the “in-house” design center for Warmington as well as other large and mid-size builders in Southern California. In 2008 Chateau Interiors & Design introduced an innovative builder-specific options management software program, Studio Chateau. This has quickly become an industry standard and has garnered the attention of homebuilders throughout the country. Chateau Interiors & Design and Studio Chateau have a long history of partnering with forward thinking homebuilders to provide an outstanding home buying experience. We partner with builders who want to enhance their client’s home buying experience and stand apart from the competition. We understand the importance of managing the selection process for the buyer while maintaining the builder’s best interest. Our staff of experienced design consultants assist buyers in creating homes that will include a blend of color, texture and style with an emphasis on the buyer’s personal lifestyle preferences and budgets. Chateau is constantly updating its position in the marketplace and is proud to be a design trend leader with the most current materials, colors, and styles. We were the first in our industry to institute an array of technologically advanced web and Internet-based methods to assist new homebuyers in the selection of options and interior design features. Studio Chateau, our innovative options management software system supports both the builder and the buyer by managing all the available options. Every community is managed at the lot level, working closely with the builder’s purchasing agent, sales team, field superintendents and escrow coordinators for smooth and timely closings. We also work closely with model coordinators assisting with product selections that are appropriate for the buyer profile of a specific community. This creates an opportunity for the homebuyer to realistically afford and purchase what is shown in the model home.